"Yes, [there are other Kaiju] in the movie. Not other Toho licensed creatures, but some original new ones. Yeah." Director Gareth Edwards already introduced us to a couple of new monsters in his 2014 Godzilla in the form of the male and female MUTO, or "massive unidentified terrestrial organism." As for what we can expect from these new kaiju in Michael Dougherty's addition to the MonsterVerse? For now, we're left to wonder, as these new beasts, as far as we can tell, haven't been teased, at least not visually in any of the trailers or TV spots that have been released. Though, there may have been a dialogue cue. In one of the recent TV spots, it was said that monsters are attacking cities all over the world faster than they can be named. That certainly hinted at new beasts possibly showing up. Does that mean we're just going to get quick flashes of these new monsters tearing up cities in the first act before the real party begins? Again, it's tough to say. What we know for sure is that this movie is going to be a straight-up monster brawl. Gareth Edwards' took the approach of subverting a lot of the monster action in his previous movie. Michael Dougherty has already made it very clear that, while he has respect for what came before, he's taken a much more direct approach. The human cast includes Millie Bobby Brown (Stranger Things), Vera Farmiga (Bates Motel), Sally Hawkins (The Shape of Water), Ken Watanabe (Inception), Kyle Chandler (Manchester by the Sea), Bradley Whitford (Get Out), Charles Dance (Game of Thrones), Thomas Middleditch (Silicon Valley), Ziyi Zhang (Crouching Tiger, Hidden Dragon) and O'Shea Jackson Jr. (Straight Outta Compton). Next up for the MonsterVerse will be Godzilla vs. Kong, which is coming from director Adam Wingard (Blair Witch) and will arrive next summer. 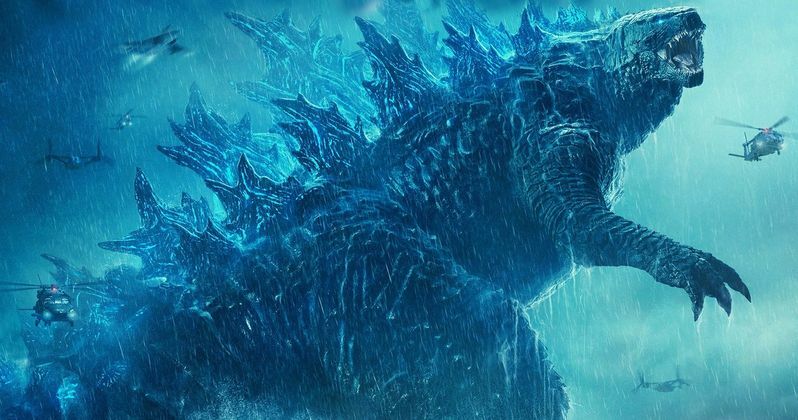 Godzilla: King of the Monsters is set to hit theaters on May 31. This news was previously reported by Bloody Disgusting.